Injuries that aren’t serious enough to require a trip to the emergency room still benefit from timely medical attention. The team of knowledgeable providers at Revive Medical Urgent Care in Oklahoma City, Oklahoma, treats a variety of non-life-threatening injuries, such as fractures, sprains, and wounds. If you have a non-life-threatening injury, call or book online, or even walk in without an appointment, today. When should I seek urgent medical care for an injury? When an accident or fall leaves you with an injury that isn’t life-threatening, the team at Revive Medical Urgent Care can save you a trip to the emergency room. Revive Medical Urgent Care is open seven days a week, ensuring prompt and reliable medical services even when your primary care physician isn’t open. 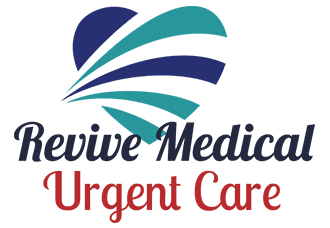 The team of providers at Revive Medical Urgent Care is trained to treat a wide variety of injuries and medical conditions. By minimizing wait time, they provide fast and convenient medical care when you need it. What is considered a non-life-threatening injury? Injuries that involve heavy, uncontrolled bleeding or fractures that cause the bone to protrude through the skin require emergency medical care. Other examples of medical emergencies include any injury that results from a gunshot wound, deep knife wound, or severe burns. How can urgent care help my injury? With state-of-the-art technology and a welcoming atmosphere, you can trust Revive Medical Urgent Care to provide the care you need. What are the benefits of seeking urgent care for a non-life-threatening injury? Services at Revive Medical Urgent Care are convenient and accessible. The expert staff and team of physicians offer a pleasant experience by offering prompt, high-quality medical care without the extensive wait time and cost of an emergency room. If you need medical attention within 24 hours but your primary care physician’s office is closed, Revive Medical Urgent Care is open seven days a week until 7pm. They accept most types of health insurance and credit cards. Additionally, Revive Medical Urgent Care offers a discount for self-paying patients. Call, schedule a convenient time online, or walk in without an appointment for expert medical care today.